332 Park St Great Barrington, MA 01230 / iBerkshires.com - The Berkshires online guide to events, news and Berkshire County community information. 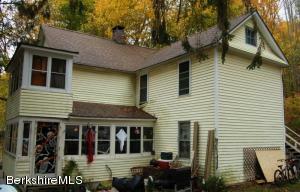 Two family flat within walking distance to downtown Housatonic. Each apartment features two bedrooms, one full bathroom, wood floors in living room and bedrooms, tile in kitchen, and a sun porch. Views of Housatonic River from each apartment. This property and MLS #221334 abut each other. They are priced separately so a buyer can negotiate on individual properties. However, the Seller is selling the properties together.